Heston volunteers are whirling through the school library cataloging and sorting books, updating labels and organizing the last big chunk of summer work before fall! Generous people have donated like-new books for WePAC libraries, including for Heston. 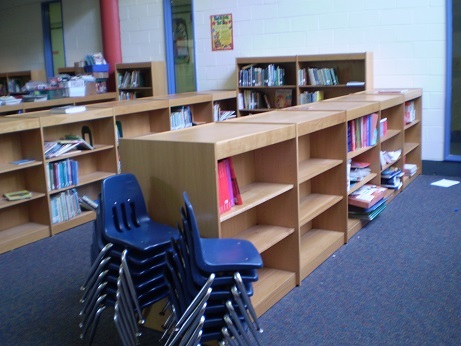 Also, WePAC has worked with the school district to re-home books from closing schools’ libraries. When Drew School closed and with Leidy School’s closing, we added the library books to book collections that would be used by the same students at their new school– at McMichael School and Heston. Heston and Leidy’s libraries are not the same, but we hope to be ready to go in one month’s time! On Thursday, a great team of volunteers from Grace Reformed Church pitched in to help us tackle several walls of books–nice job! You might notice that the red column in the top picture is the same as the pillar in this collage. You guessed it– this area and the shelves pictured are actually the same spot! 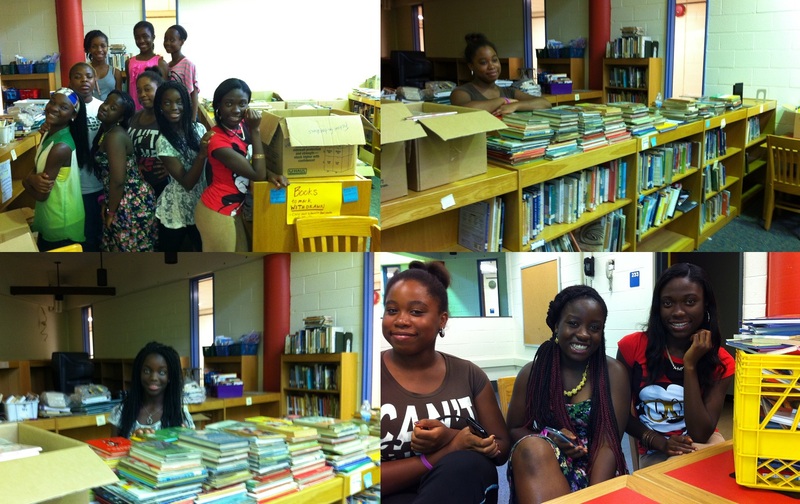 Thank you Jessica, Cynthia, Lemu, Weemo, Christabel, Cherish, Princess, Kashmir, and Elvina for lending helping hands! And another giant thanks to our veteran summer team at Heston– you are all an amazing crew, and every week we’re making big strides.